If you experience loss of balance while walking, dressing or performing routine daily activities, you could be facing a serious health risk. Poor balance can lead to difficulty walking, falls, bone fractures and other serious injuries that severely impact you or your loved one’s quality of life and independence. 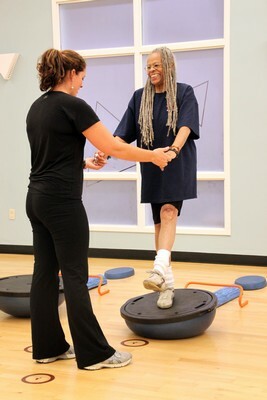 Whether you suffer from poor balance as the result of injury/surgery or a gradual loss over time, you can benefit from a physical therapy prescribed balance program. From improving your golf swing to keeping you walking without a cane or walker, balance exercises are safe and effective in improving your quality of life. 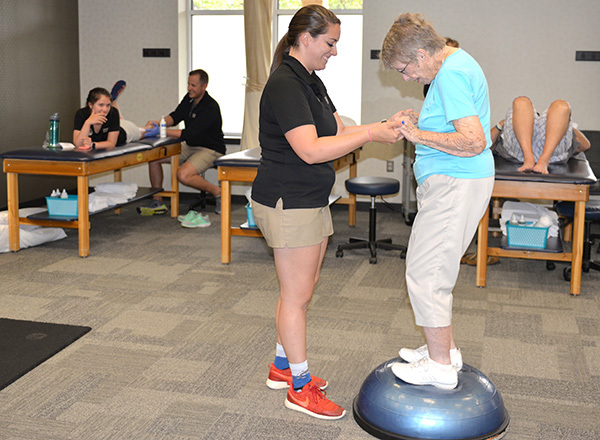 Our physical therapists are experts in balance training and fall prevention. We will perform a thorough evaluation, including a fall risk assessment and determine the cause of your balance dysfunction and prescribe exercises that will improve your balance reactions and minimize your fall risk.